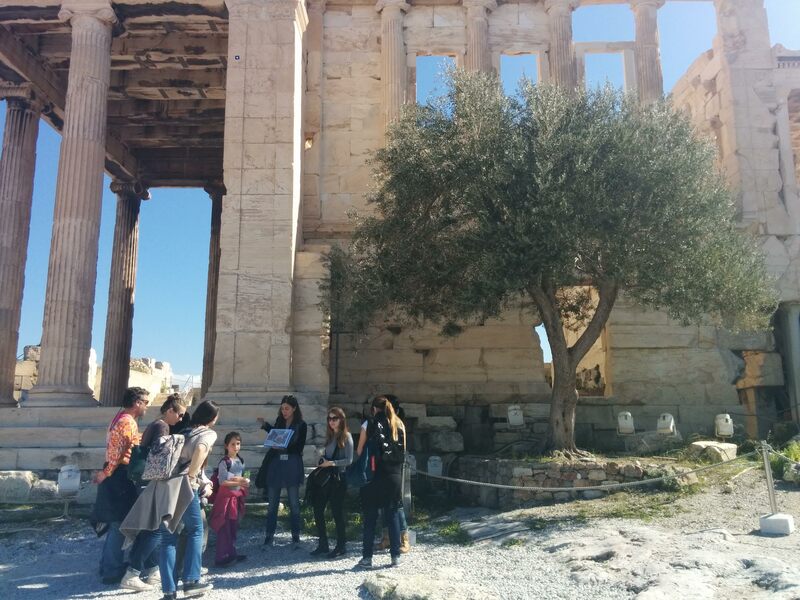 In February 2016 Travel Bloggers Greece were invited by tour company Alternative Athens to join one of their new tours. 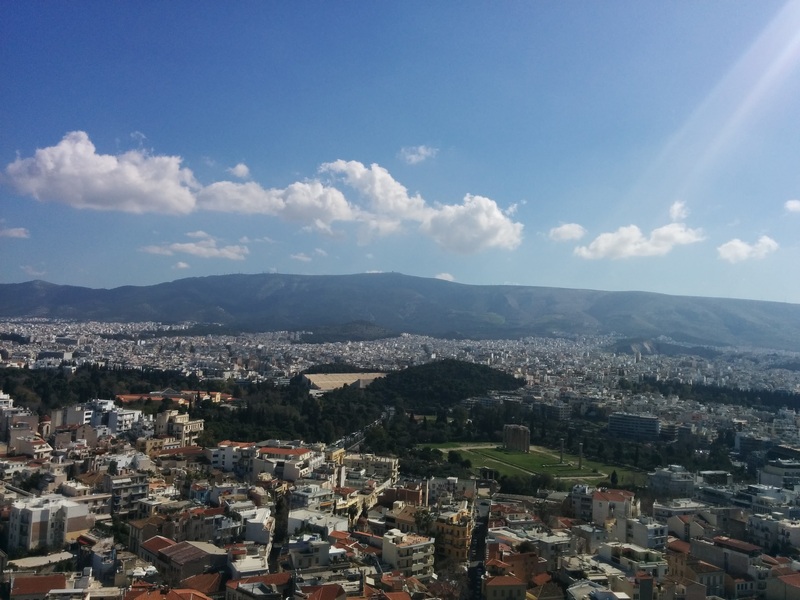 Alternative Athens promises a different way to explore the city. 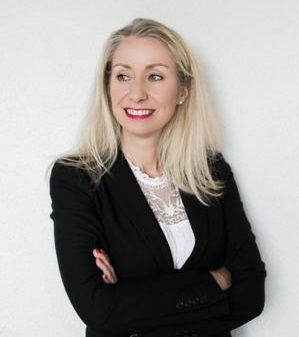 Their website says ‘through the eyes of a local’ and ‘to discover the streets, experience the city’ ‘Everything we do is based on experiences, not just passive sightseeing and tourist stereotypes’. 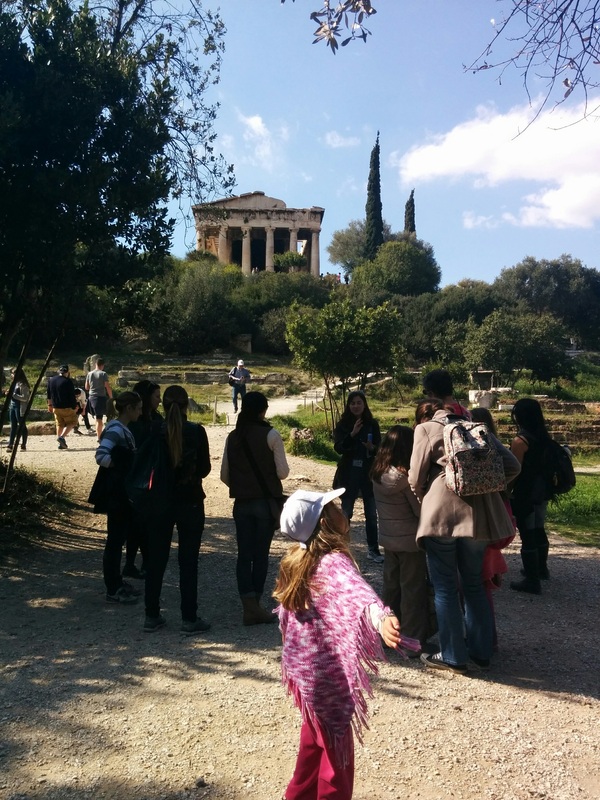 The four hour Alternative Athens walking tour that was offered to us was called Mythological Athens tour. 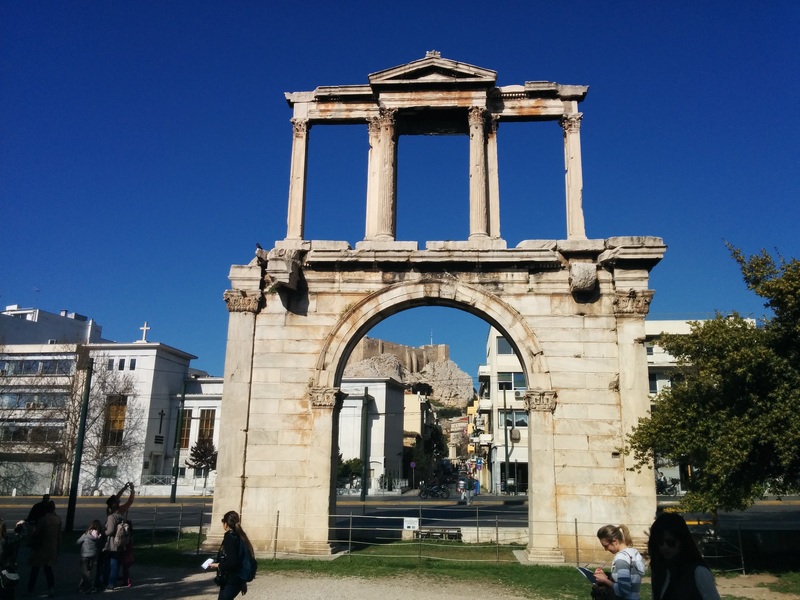 A unique tour because it is the first and only one in Athens to ‘Discover the greatest landmarks of Athens & their surrounding myths!’. The tour was described as suitable for families with kids and for people that love mythology. Both me and my 6 year old are passionate about archeology and mythology so we could not resist joining this tour. 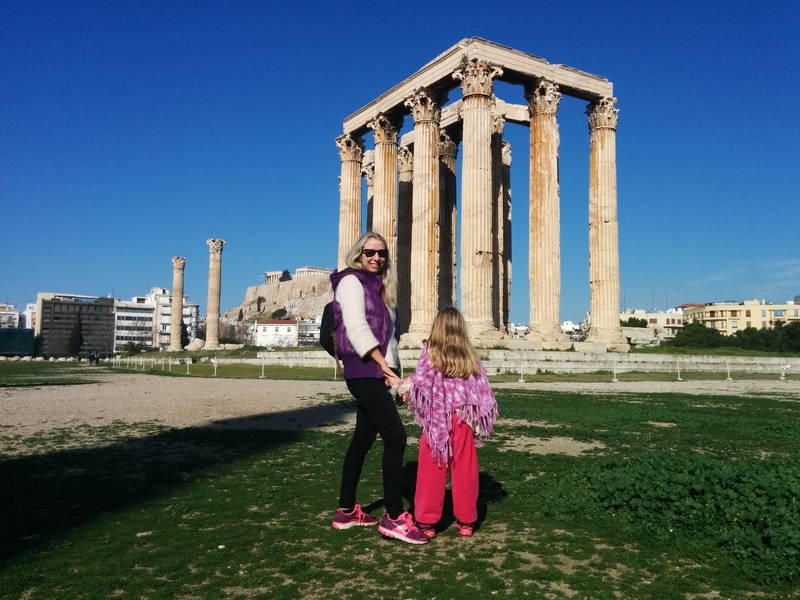 On a sunny Saturday morning we met our tour guide Ioanna outside the main entrance door of the Temple of Olympian Zeus, with it’s 104 columns the biggest temple in Greece (the temple is also called the cursed temple because it took over 600 years to build it!) This site was the starting point of the tour. 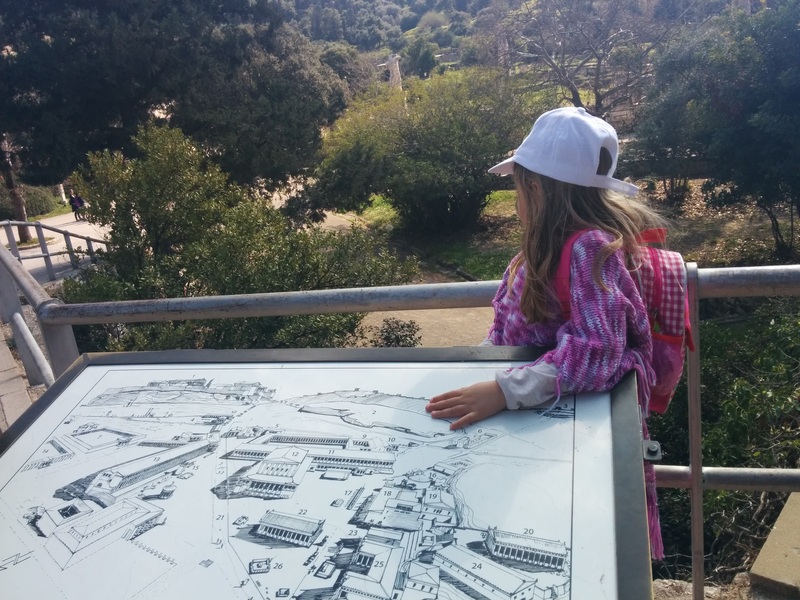 Ioanna told us that we were going to find out about ancient Greece through mythology, we would talk about the peak and decline of Athens and we would end our tour at the ancient cemetery of Keramikos. Ioanna told us the story of Zeus and the reasons why the temple was build. It was amazing to see how mythology and actual facts and history are mixed together and my daughter could not stop asking ‘did that really happen’, ‘is is a story or is it real’. She was counting the columns and much fascinated by the broken columns laying around. Our next stop was the Arch of Hadrian. A monumental gateway that resembles a Roman triumphal arch. 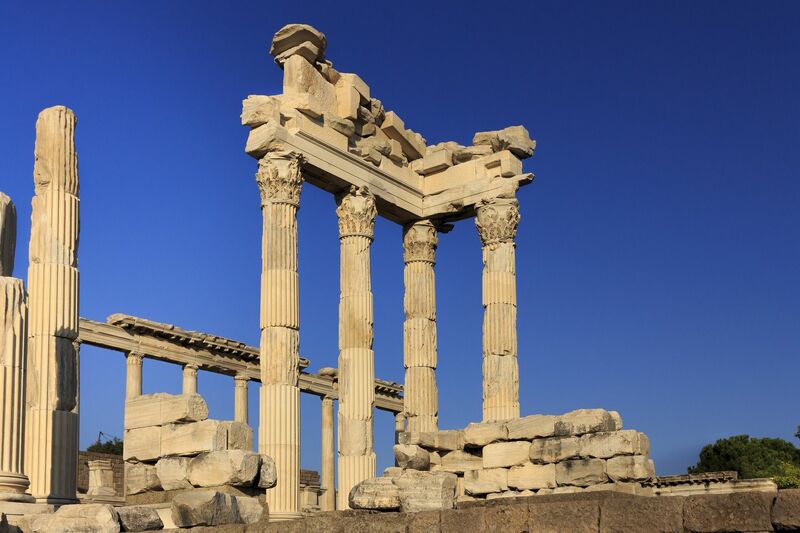 It spanned an ancient road from the center of Athens, Greece, to the complex of structures on the East side of the city including the Temple of Olympian Zeus. Whilst looking at the arch I was not just thinking about history and ancient times. I also saw the new modern city passing by. Like the slogan of the Alternative AThens website: ‘Discover the streets, experience the city’. We walked through the city towards the Acropolis. It was nice to experience the city walking. Our next stop was the Acropolis. 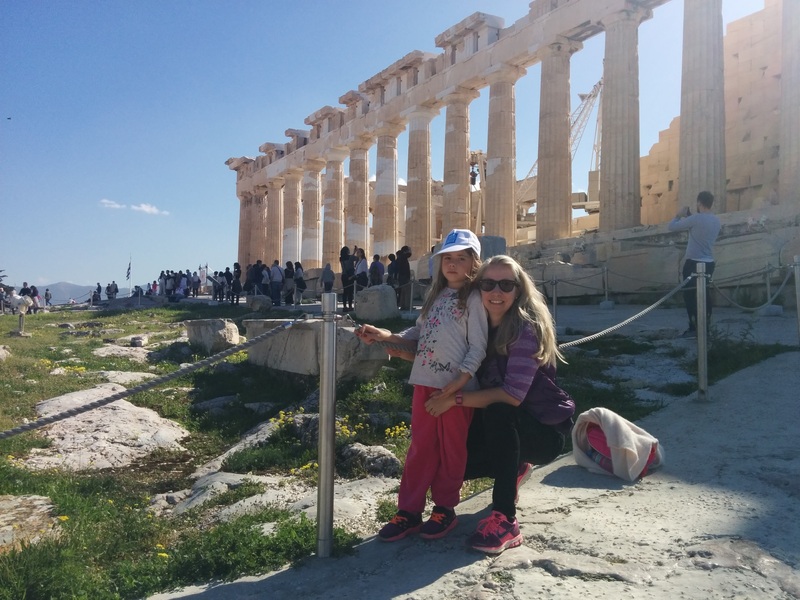 We visited all the highlights of the Acropolis mountain. The knowledge of our guide Ioanna was very impressive. She told us every relevant story of Greek mythology with much enthusiasm and passion. She answered all our questions and illustrated all the monuments with pictures showing us the past and present of the monuments. She also handed out postcards for the children and she showed us how the decorations and colors used to look. At the Acropolis we had to visit the bathroom. 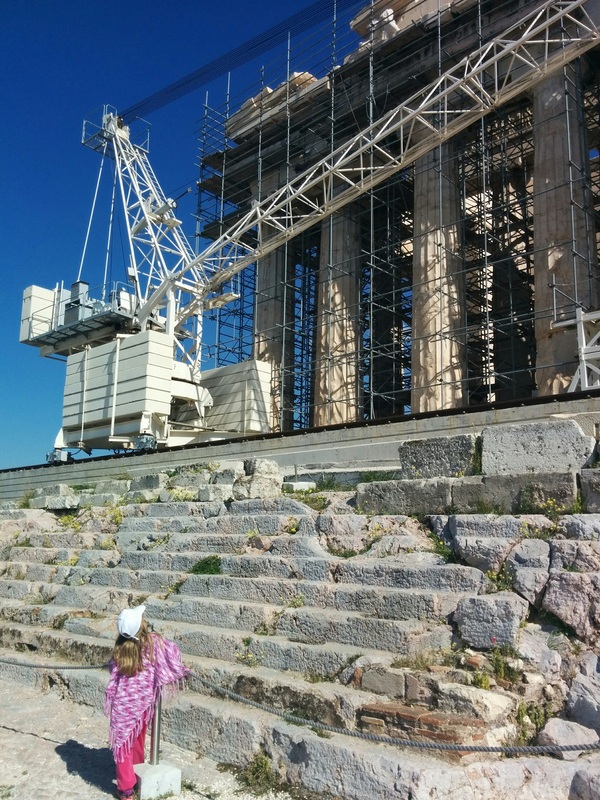 Families with young children will be interested to know that there is a baby changing place in the new restrooms at the entrance of the main Acropolis. There are also bathrooms on top of the Acropolis next to the parthenon but no changing area there. There are also water fountains at the Acropolis and at all the other sites that we visited today. The story of the city of Athens could not be missing in the tour. We listed to the story of the competition between the God of the Sea, Poseidon and the Goddess Athena and we saw the olive trees that Athena gave to the city. We saw the hole in the roof where angry Poseidon had thrown his thunderbolt as well. Mythology and reality could not come closer than here on top of the Acropolis. We had a break in a taverna outside the Acropolis and continued to the Ancient Agora. The site is green and offers lots of shade. The vivid explanations of the tour guide brought us back into history and we could imagine what the agora would have looked like in the past. The agora shows one reconstructed (not restored!) ‘stoa’. At the ancient Agora we visited the very well preserved temple of Hephaestus (also known as Thisio) The reason why this temple is well preserved is that it has been turned later into a Christian church. Another interesting fact is that this temple has a roof. We listened to the story of the centaurs here. The last stop of the tour was at the ancient Keramikos Cemetery: one of the most important but least visited monuments in Athens! Kerameikos is named after Keramos, son of Dionysios and Ariadne, hero of the potters. The area was used continuously for burials from the twelfth century BC for over a thousand years. The best part of the tour is the story-telling. If you like stories and Greek mythology, this is the tour for you. This tour is very nice for children that have been already introduced to mythology. Our guide was able to discuss the myths of the monuments but she also reveals what was behind the myths and their meaning. Indeed, a very alternative way of looking of ancient and current times. I also very much liked that fact that we visited so many monuments in one day and that we were walking through the city. 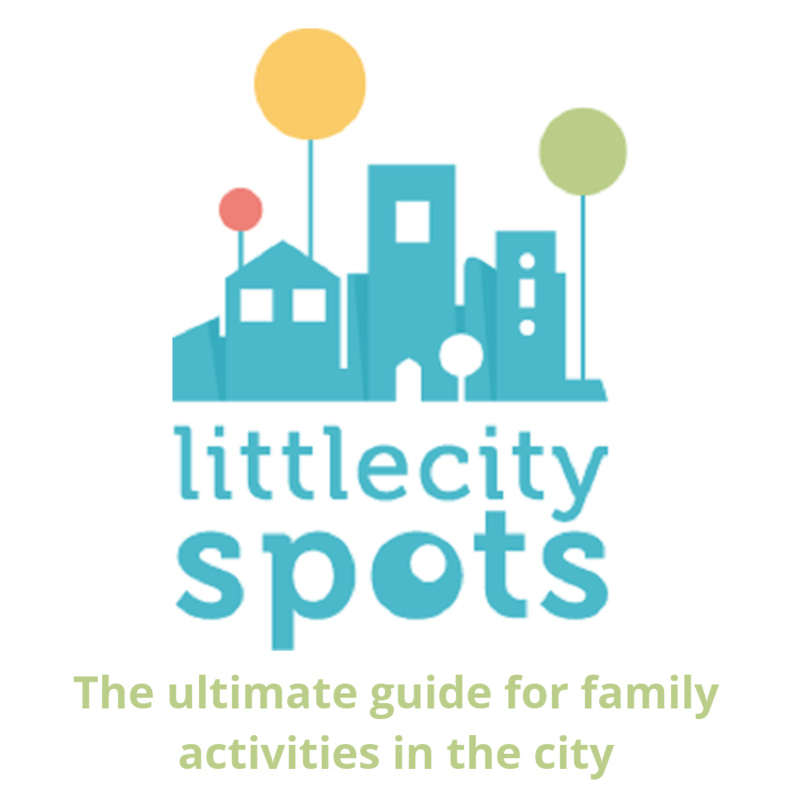 I found the tour too long for my 6 year old but I believe that the tour is very suitable for families with older children, starting from 10 years old. Tina Kyriakis from Alternative Athens told me that there are two more tours that are specifically designed for kids. 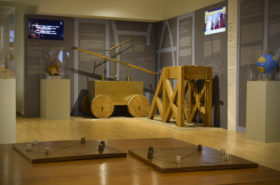 They are interactive and involve play, creativity and they are not as long as this walking tour. Refer to the Alternative Athens website www.alternativeathens.com for prices and more information.